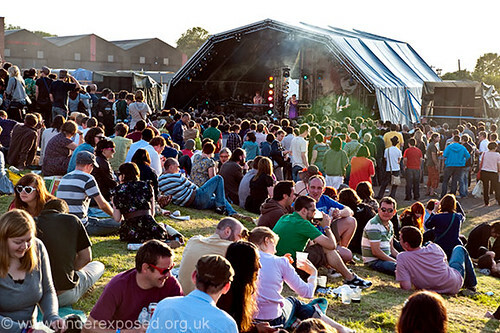 Indietracks - an indiepop festival: Last chance to buy cheaper early bird tickets! Just a quick reminder that our early bird Indietracks ticket offer expires at 11.59pm this Friday (6 May). Please pick up your tickets before then if you want to grab a bargain for this year's festival! Early bird weekend tickets cost £60 and day tickets cost £32.50, increasing to £65 and £35 after the offer ends. Under 5s can come along free, and 5-14s can come for just £6 (day) and £10 (weekend). Bands playing at Indietracks this year include Edwyn Collins, The Hidden Cameras, Jeffrey Lewis, Jonny, Suburban Kids With Biblical Names, Math and Physics Club, Ringo Deathstarr and dozens of other fantastic indiepop bands. Ticket-holders will also have unlimited free steam train rides and access to the station museums over the weekend! Hope you'll be able to join us in July!